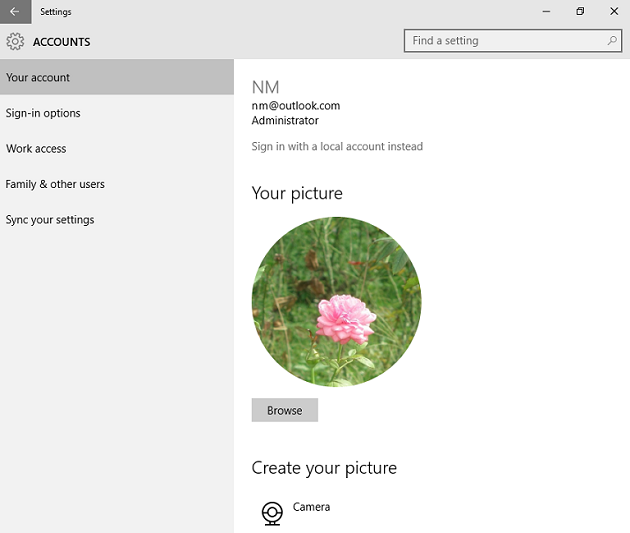 In Windows 10 adding or changing account picture is very easy. 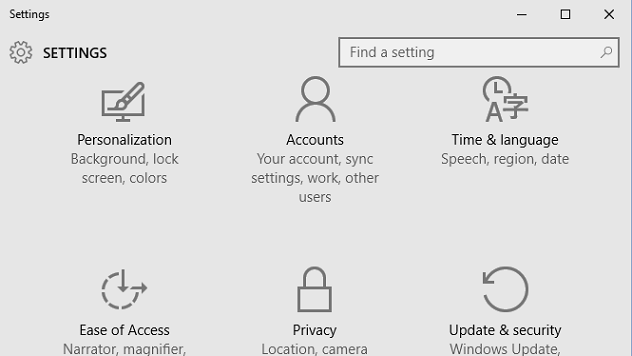 Use below quick steps to set your favorite picture as account picture. 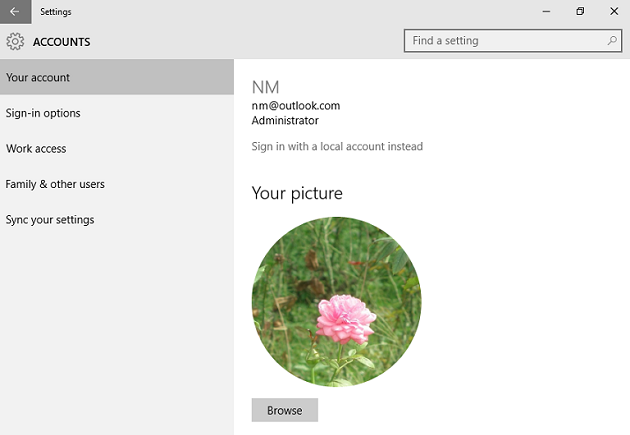 Click on 'browse' button in the window and select your favourite picture to set as new account picture.